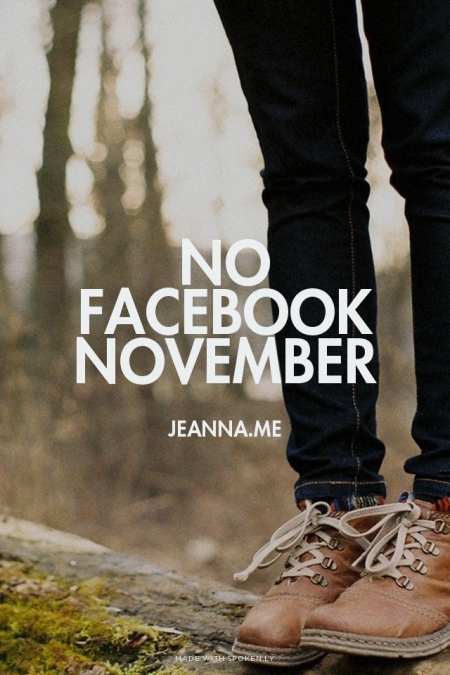 No Facebook November–this is a thing now, I’m doing this. Actually, I’m having some heart palpitations at this moment, but I think that could also be attributed to the 3.5 cups of coffee I have managed to consume today. I am going to eliminate all social media activity for the month of November 2014. This is no easy task for me. I’d say that I do have an addiction to social media that has only been exacerbated due to recent life events. I will attribute some inspiration to this guy–>Jason, who does stuff. He has abstained from social media for the month of October 2014. He called his social media vacation a “detox” which I think is appropriate for anyone who eats social media for breakfast. I’m not sure if you can tell from this screen capture–today, I did a search for “My friends” on Facebook…and it told me: “Sorry, we couldn’t find any results for this search.” Of course…I then posted this on Facebook to see if anyone else was amused…even though I was actually kind of convicted by the event. I was wondering how much time I actually spend on Facebook each day…so I googled to see if I could receive assistance with that…I did find a post from Time that had an app that could analyze some data from my Facebook page and give me an estimate. I do not know how accurate it is, but the result was enough to disturb me even further–and appeared enough like Divine providence that I believe that the Facebook fast should take place. 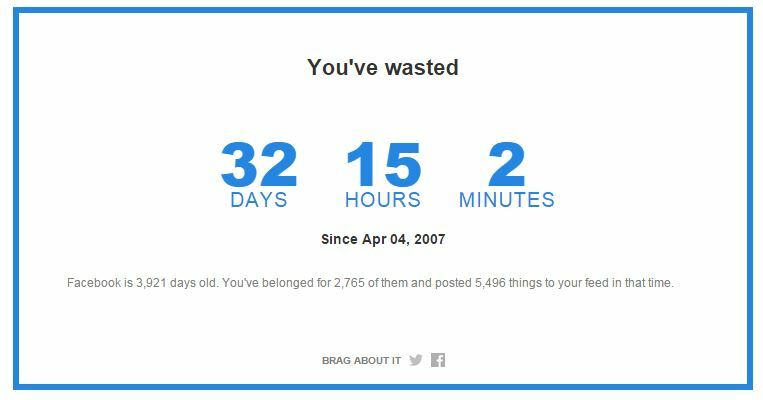 According to the app, since joining Facebook, I have wasted 32 days, 15 hours, and 2 minutes on Facebook. That is over a month of my life–on FACEBOOK! What?!?! I’ve shared 5, 496 things! Because it was over a month of my life spent–I think it is appropriate to attempt NOT to spend a month on Facebook. I recently read a book by Eugene Cho, titled Overrated: Are We More in Love with the Idea of Changing the World Than Actually Changing the World? This book inspired me and challenged me. I think there are a lot of ways I could live out some justice in 30 days without being tempted to #humblebrag. One of the things that I learned was–sometimes the people who “share” on social media–actually might be compelled to contribute less in real life…because they’ve already done their part by sharing…that is mighty concerning and convicting. I’ve witnessed Facebook friends do this in the past. I hope that I can honestly abstain from all social media accounts. I will be enlisting some co-workers and friends for accountability in this area. I will be handing control over for my work Facebook account, as well, in order to ensure total compliance. A friend at work is excited about this. She challenged me by illuminating the fact that I will not have control over what others post about me. The pulling in my heart only further convicted me that this is the right choice for me right now. She also is taking bets on how long I will last…I like a challenge though. I think one of the reasons I managed to stay sober through college is because I was told that I couldn’t possibly be a theatre major without at least trying drugs…that and my fear judgement. So farewell–Facebook, Twitter, Google+, LinkedIn, Tumblr, Instagram, Pinterest, about.me, and Snapchat. I will keep a journal during the month of November and I may share the contents with you in December…or I might not share at all…I might find that just writing and keeping my moments between me, my friends, family, and God is enough. With grace and peace I go. I am still accessible via email, text, phone calls, and real life conversation. 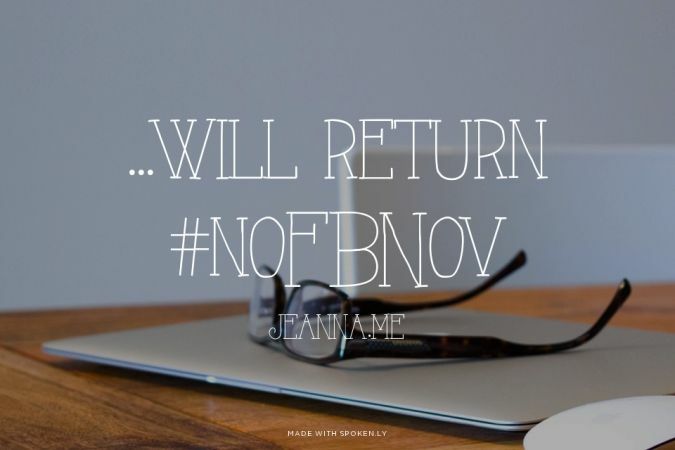 Does anyone want to join me for #NoFBNov? You have an amazing way with words. I will be looking forward to your return in December. That is if you return?